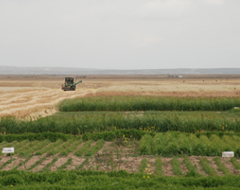 Project Profile: Qinghai province is a place with abundant sunshine but little rainfall, cold in winter and cool in summer, short warm season and long cold season, much gale and sandstorm happens in spring. 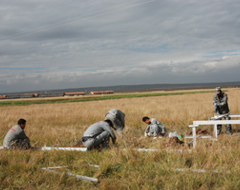 The project is funded both by China Institute of Water Resources and Hydropower Research(IWRH) and Qinghai Institute of Water Resources and Hydropower Research, based on a new way of combining ecological construction and new energy utilization for grassland irrigation to improve herdsmen’s living level. 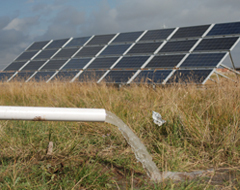 Project Solution: The solar water pump system utilizes Solartech PS2200-6, water flow reaches up to 80m3 per day, solving fully the problem of grassland irrigation. 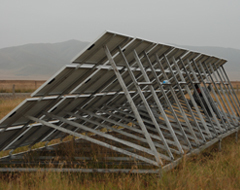 Economy Benefit: The system generates 6912 kWh of power every year. During its 25-year lifespan, the system will save coal 64.97 tons; reduce carbon emission 28.58 tons, sulfur dioxide 1.29 tons, dust 0.97 tons and lime ash 16.89 tons.